I was doing various stuff on the computer this morning and boy was I surprised when I looked at the radar around 11 and saw a very strong storm just 30 miles or so to my north, in northern Macoupin County, IL. So I grabbed my stuff and headed out, and ended up chasing the storm from around Litchfield, IL to Vandalia, IL. 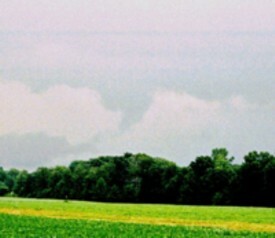 Here is a picture taken just southeast of Hillsboro. This storm had lots of scud, a couple small non-rotating wall clouds, and loads of CG. 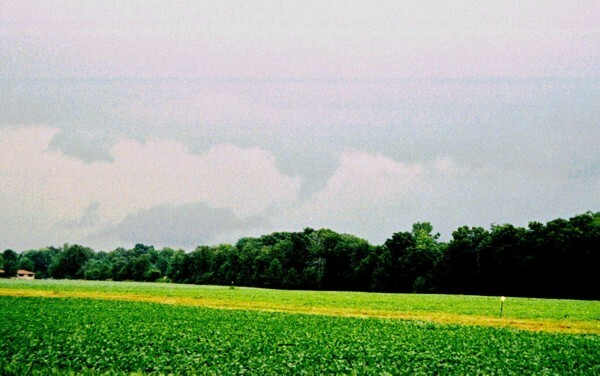 Just north of Vandalia it produced a "look-alike" lowering that probably would have fooled someone had there been a crowd out looking at it, which there wasn't. I got to watch it all of 30 seconds before it disappeared in rain. Here is a photo of this lowering, contrast slightly enhanced. Since I only saw it for 30 seconds I cannot say for sure that it was not a funnel - it does kind of have the look - but given that there is a lot of other scud around it, and there were no radar indications of SVR at this time, I think it is probably just scud. 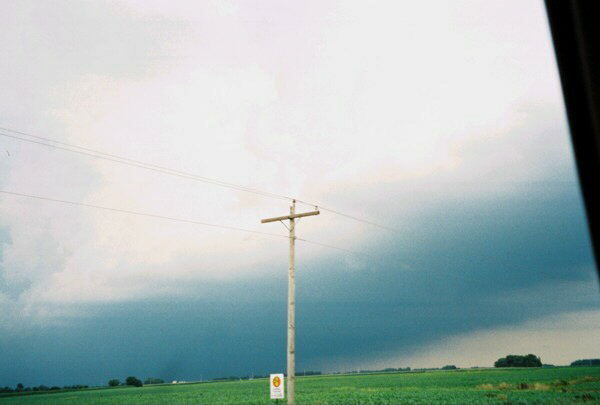 I got peppered with a little small hail, and some very heavy rain, around the time I took this picture, when a small cell that formed near Bethalto and moved east got drawn in and merged with the main storm near Vandalia. Due to 4th of July plans I broke off there and headed home, though I figured (correctly) that if I stayed with it and tracked it east toward IN it would eventually go severe. It did, producing sporadic severe reports from Effingham east to the Indiana line, then quite a few in southern IN and northern KY - mostly wind reports. This page last revised July 8, 2004.